So says Douglas Keefe (www.shorenewstoday.com) in edited excerpts from his original article*. Lorimer Wilson, editor of www.munKNEE.com (Your Key to Making Money! ), has edited the article below for length and clarity – see Editor’s Note at the bottom of the page. This paragraph must be included in any article re-posting to avoid copyright infringement. The reason is that no matter what is used to clean a coin the result is the loss of a small amount of metal from the surface of the coin. Repeated cleaning can actually lower the grade of a coin by removing too much metal. Also, a cleaned coin looks different from natural coins and cleaning can be detected by collectors. Coins take on a certain appearance due to their age and circulation. Collectors want coins that look natural and in many cases won’t add cleaned coins to their collection. Coins that are minted in copper or silver are most likely to turn dark or, as we say, “tone” when left exposed to the air. The way to avoid that happening is to store coins in an airtight holder so air won’t come in contact with the surface of the coin. This is especially important when storing uncirculated or high grade coins that still have the mint luster. There are many products available that will protect them from the air, but no matter what you use, always keep a close watch on your coins to make sure nothing is happening to them. If any change whatsoever occurs in their appearance, change the container they are in…. There is a professional service that can clean coins without causing harm but this is limited to coins that have substantial collector value as the service comes with a price. In summary, the answer to the question: “How can I keep my collection of gold, silver and platinum coins clean?” is to protect them from oxidization and to the question “How should I go about cleaning my ‘dirty’ coins?” the answer is my dirty little secret – don’t. Editor’s Note: The above article may have been edited ([ ]), abridged (…), and reformatted (including the title, some sub-titles and bold/italics emphases) for the sake of clarity and brevity to ensure a fast and easy read. The article’s views and conclusions are unaltered and no personal comments have been included to maintain the integrity of the original article. 3. Compare & Save When Buying Gold: Check Out These Dealers First! 4. What Do Gold Measurements “Troy” Ounce and “Karat” Really Mean? 8. Be Careful! Owning Gold Bullion is a Revocable Privilege in the U.S. – Not a Basic Right! 9. Will U.S. Government Seize Private Gold and Then Devalue Dollar – Again? 10. Beware: Official U.S. Government Price for Gold is Only $42.22/oz. 11. Is Your IRA or 401K a Target of Government Appropriation? 15. 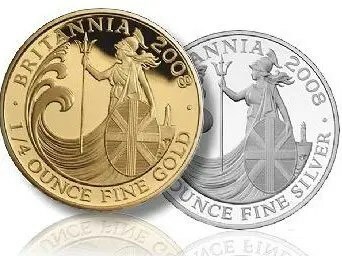 Americans: Which Gold/Silver Bullion Assets are Permitted in Your IRA?